Braemar Isle is a luxurious condominium community located in Highland Beach, Florida. The 17 story building built with 237 units is situated between the stunning Atlantic Ocean and the Intracoastal waterways. This premium Highland Beach Condo building location offers breathtaking views of the sparkling ocean and bustling city for miles to see. Each two or three bedroom residence is oversized and built with spacious floor plans. 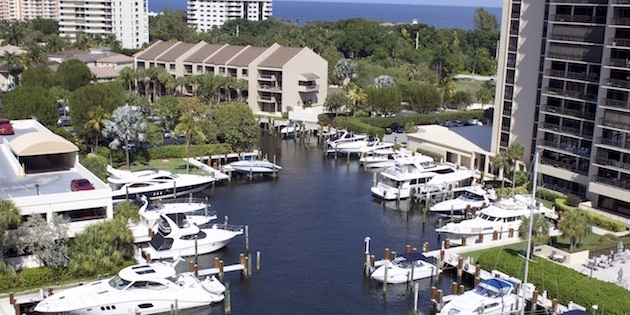 Braemar Isle Condos in Highland Beach offers its residents resort-style services. These amenities include a concierge, valet, pristine gym, library, reading room, card room, party room, and mini theatre. Because Braemar Isle resides within the prestigious complex of the Boca Highland Beach Club and Marina, residents also have access to a private beach club complete with heated pools, whirlpools, and a club house with full working kitchens and bathrooms. Take advantage of grills, tables, chairs and a full-time steward who is on staff to help with the residents’ needs.